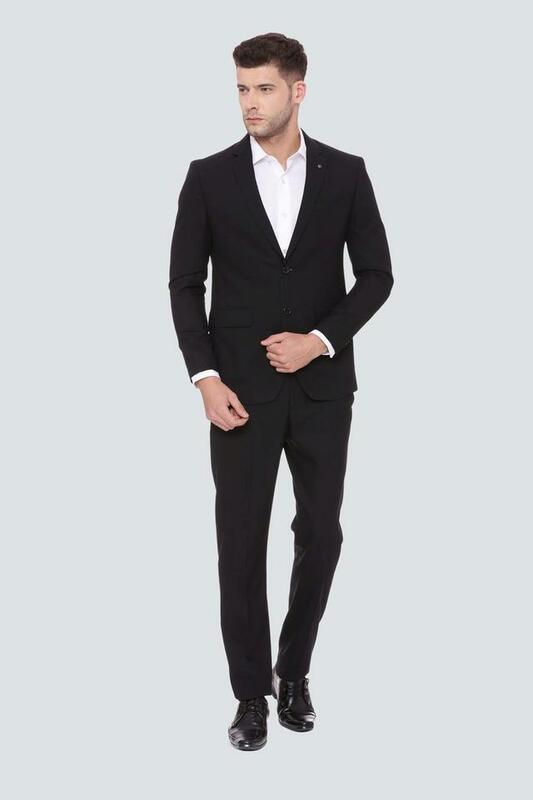 Designed exclusively for the fashion elites, this suit from the house of Louis Philippe will take your breath away. 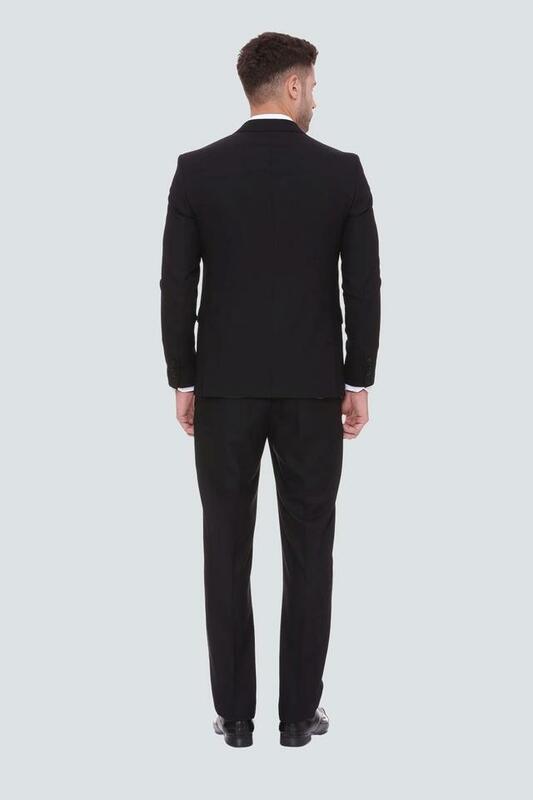 The notched lapel and side vents of the blazer form an interesting combination that lets you sport an effortlessly sophisticated look, while the pair of trousers featuring a solid pattern gives it a modish appeal. 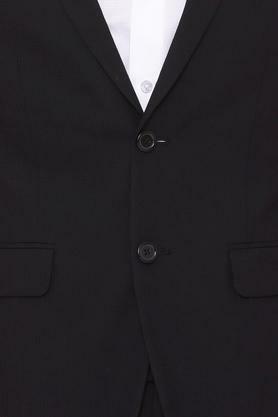 Crafted from fine quality terry rayon, there is no fuss involved in the maintenance of this suit. It will help you dress up daintily for any high end formal occasion.